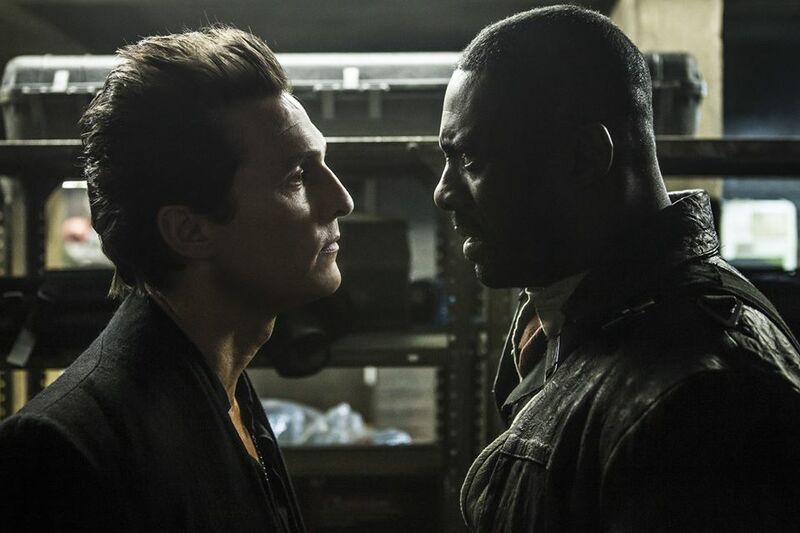 First going into development in 2007, it’s been a long and winding road to the big screen for Stephen King’s dimension spanning epic novel series The Dark Tower, with both JJ Abrams and Ron Howard on board as directors. Now, it’s in the hands of Nikolaj Arcel (A Royal Affair), with Idris Elba playing the heroic gunslinger Roland Deschain and Matthew McConaughey as his nemesis The Man in Black. With the first finally set to come our way tomorrow, the pair took their antagonistic relationship to Twitter, sparring online and giving us our first look at the movie in the process. Merely a tease of what’s to come tomorrow, these brief videos do give us a good look at what to expect, with McConaughey in full on evil mode, and Elba showing off some nifty gun skills.